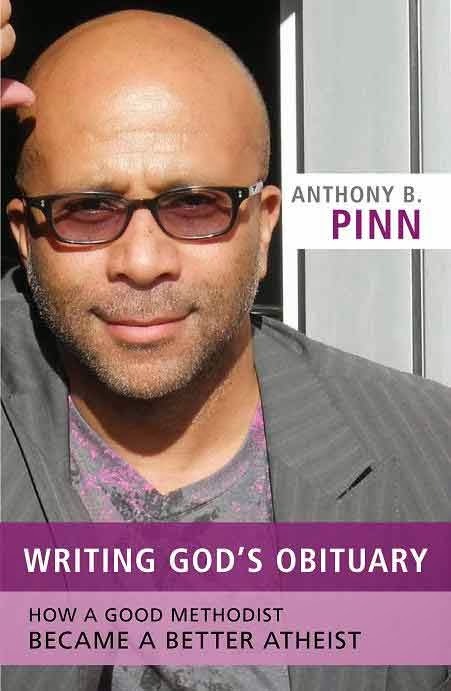 Today begins a 2-part interview with Dr. Anthony Pinn about his newest book Writing God's Obituary: How a Good Methodist Became a Better Atheist (Prometheus, 2014). Currently the Agnes Cullen Arnold Professor of Humanities with an appointment in the religious studies department at Rice University, Pinn's important work in religious studies and humanist studies is well-known and compellingly contextualized in his memoir. The second installment of my interview with Dr. Pinn will post on May 4. Phillip Luke Sinitiere (PLS): You’ve reflected autobiographically before about your journey towards and commitment to humanism—in Norm Allen’s The Black Humanist Experience for example—what is the larger argument in Writing God’s Obituary? Anthony Pinn (AP): Those other, shorter pieces provide a bit of information concerning my background and humanist stance. They are often apologetic in tone, meant to provide an argument for the value and historical presence of humanism within African American communities. They, as I reflect back, were part of the theory of humanism and accompanying mode of humanist reflection (what I call a humanist “theology”) that I’ve developed recently. This book, however, is simply my personal story, my intellectual life narrative. My aim, as Du Bois reflected on the nature of autobiography, is to say something about African American humanists by talking about the African American humanist I know best. PLS: One of the interesting dimensions of Writing God’s Obituary in my mind is your chapter about attending a Christian high school in New York, West Seneca Christian School. A 2-part question. First, in your estimation, how did your experiences in a Christian (largely evangelical) secondary school mirror larger trends within some quarters of modern Christianity that tend to bifurcate spiritual and intellectual pursuits? Second, what does this trend say about how modern Christian educational institutions approach intellectual work, such as West Seneca Christian School, that began specifically in the post-Civil Rights era? AP: It seems to me that my experience at that particular school speaks to a larger dilemma—an ongoing negative tension in some theistic circles between mind and body, combined with a type of anti-intellectualism that filters academic queries through a truncated sense of scriptural/spiritual obligation. It isn’t that we didn’t study most (if not all) of the academic topics addressed within public schools in Buffalo, NY, we did. 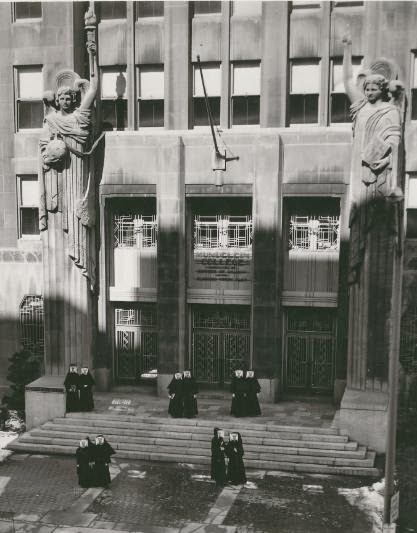 But, they were filtered through a particular metaphysics and in light of a prioritizing of personal salvation. The challenge posed by what you point out in terms of “modern Christianity,” if I fully understand what you have in mind, and my particular training, is a devaluing of critical reflection and critical engagement—both rendered secondary to faith. Upon leaving high school and starting college at Columbia University, I had to unlearn those poor thinking habits—and give greater attention to the value of critical engagement. PLS: One of the themes you take up in Writing God’s Obituary (and in your other work such as Embodiment and the New Shape of Black Theological Thought), is Christianity’s and Christian theology’s body problem—the challenge of living a robust human wholeness between, we might say, rational, materialist inquiry, and a the maintenance of spiritual sensibility. I wonder if you might discuss this in relation to your journey to humanism? AP: Yes, I think there are ways in which theisms devalue embodiment and bodies, to the extent they hold to a metaphysics that involves a troubled relationship with human history. The body is suspect—and Christians I was reading such as greats like St. Augustine expressed this kind of suspicion. It is understood as a sign and source of trouble on a variety of levels, and that proper religious life requires a taming of the body, rendering it docile. In moving toward humanism—particularly to the extent my theism was challenged by the historical conditions of humans, human bodies, and larger modes of material life—I had to gain great appreciation for embodiment and the importance, integrity and significance of embodied life. Whereas my early Christianity looked beyond the body, my humanism understands that bodies matter; and, we must learn to appreciate and also challenge how bodies occupy time and space.